Last fall, Paste Magazine named Danger Mouse the “Producer of the Decade,” and with a resume that includes Gnarls Barkley, The Grey Album, Gorillaz, and Danger Doom, I’m inclined to agree. From that resume, it’s clear that he has a penchant for collaboration, and Broken Bells, his new group with James Mercer, front man of indie rockers The Shins, might be his most ambitious one yet. Mr. Mouse, or Brian Burton as he is billed here, started out in hip-hop, but his choice of projects has always been diverse, and in 2008 he moved into rock, producing Beck’s Modern Guilt and The Black Keys’ Attack and Release. Reaction to those albums was mixed, (both underrated in my opinion) and some critics claimed that while his early work succeeded in shattering conceptions of genre, he was starting to settle into an increasingly formulaic style. 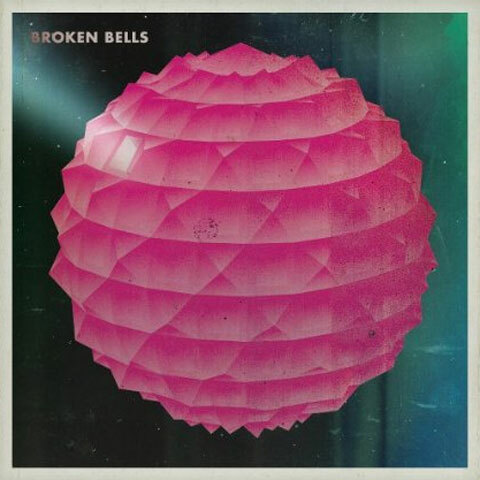 This complaint has also surfaced in regard to Broken Bells, his first full scale collaboration with a rock artist, but where some see a lack of artistic growth, I see a prolific artist with remarkable consistency.